Smartphones, shmartphones – most of them would suffer serious damage after only one drop on the pavement, right? Well, the Caterpillar CAT B10 wouldn't. In fact, it is tough enough to handle various kinds of abuse. 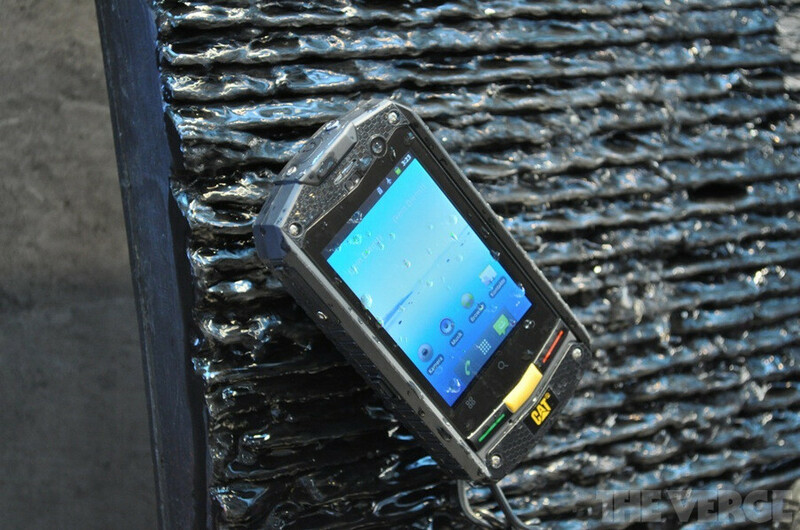 It is a rugged Android smartphone that boasts IP67 certification, meaning that it is resistant to dirt and dust. Furthermore, it can survive after being submerged in water at 1 meter for up to 30 minutes. 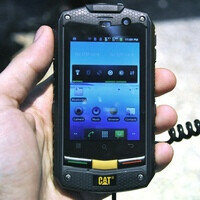 However, as the case is with rugged smartphones, the Caterpillar CAT B10 doesn't shine with anything in terms of specs. It has a 3.2-inch touchscreen display, protected by strengthened glass, of course, and a single-core 800MHz processor. 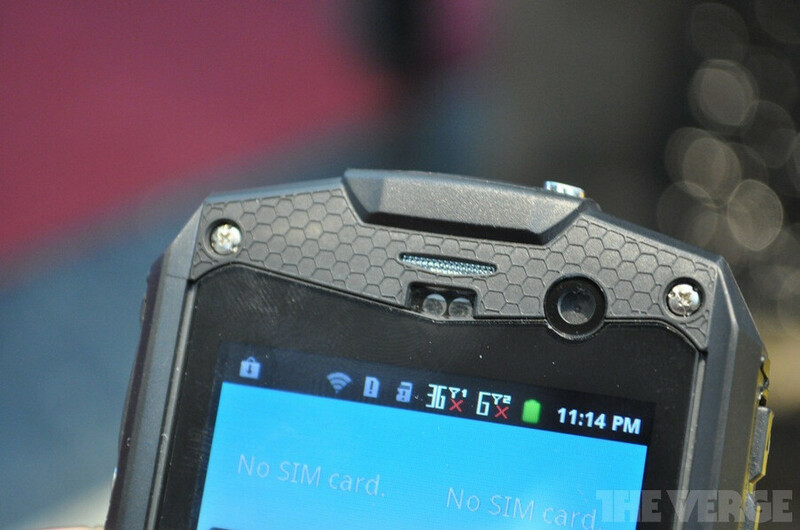 The camera on its back is of 5 megapixels, and you also get a front-facing shooter for video chats. The smartphone runs Android 2.3.5 Gingerbread, but an update to Android 4.0 ICS is promised for later on. The Caterpillar CAT B10 is expected to be made available in May for a price of about $500 off-contract. Anyone thinking of checking it out when it launches? I'll get one.. if it's free. Too expensive. I'll get the Samsung Rugby Smart or Xperia Active over this any day. This is phone for talking under water, sand, rain, and any conditions. 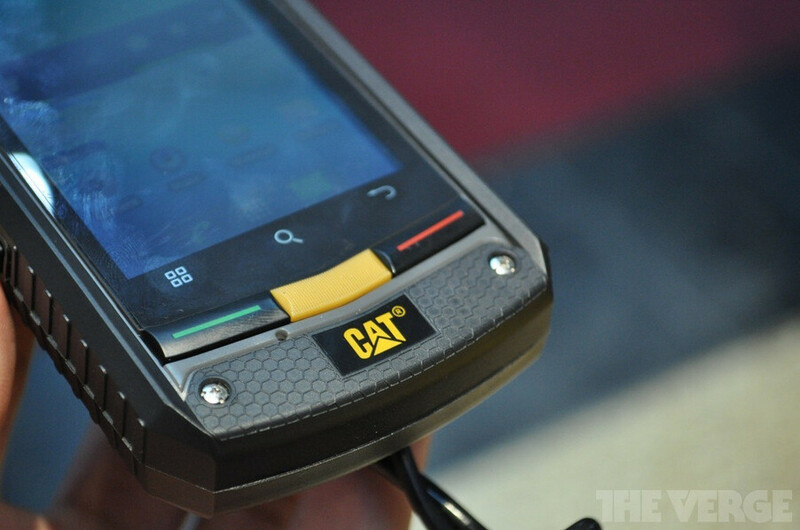 Caterpillar should put one of these phones on the grille of a truck and drive it from Sydney to Melbourne-pull it off,clean it up and show us all how it coped. Am I the only one that thinks all phones should be made with these specs? These devices are too expensive to cheap-out on a few extra dollars to make them more resilient. pass the cost on to the end user. I'm sure 99% of people would pay extra to have their phone beefed up with these specs.